This years UK Fiction Meet in Manchester went off without a hitch again this year. Many thanks to the event organisers: Charlie Cochrane, Clare London, Jamie Merrow, Josephine Myles and Liam Livings. It had been 2 years since my last visit to the Meet and was surprised at the growth of the event over the last 2 years. Numbers have tripled since the Meet in Milton Keynes and I was so pleased to see how the event itself has grown. As always the people were great and no one felt out of the loop, everyone made the effort to make sure everyone was included and there was always a new face to see. Getting to see old friends and making some new one’s is always a plus. The panels and discussions put together by the organisers was one of the best line up’s I have seen, there was a wide variety of sessions and there was never a lull in things to do. This is definitely something that I will be looking forward to next year and have no problem taking the trip over from Ireland to do so. 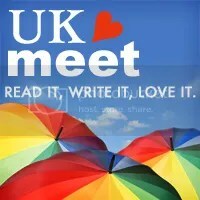 This entry was posted in Events and tagged Fiction, Gatherings, UK Fiction Meet. Bookmark the permalink.